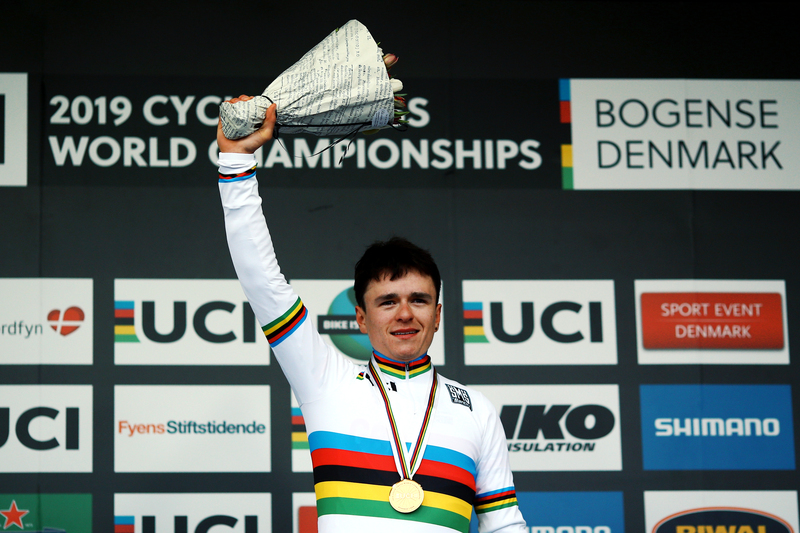 From European to World Championship, our champion Tom Pidcock (TP Racing) claimed his first CX Under-23 rainbow jersey in Bogense, Denmark. Tom attacked on lap four and rode a phenomenally confident and consistent race, finishing 15 seconds ahead of second place, the defending world champion Belgian Eli Iserbyt. "I think I was going pretty good. I wasn't nervous but excited yesterday. Today I was so nervous. This is the last jersey available for the season. It feels good. Now I can get the rainbow stripes back on," Pidcock said in the post-race flash interview.